Ocean Park No. 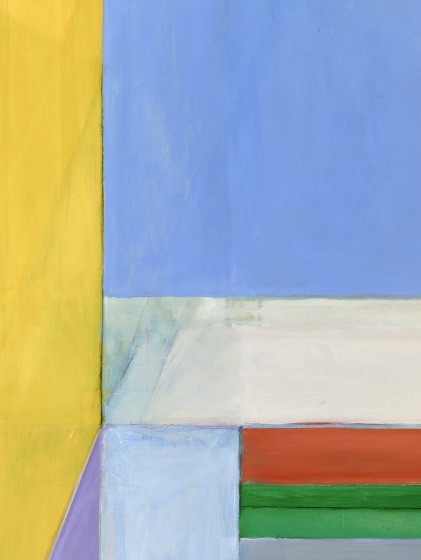 29 is from a series of over one hundred serene, light-filled abstractions Richard Diebenkorn began painting in 1967. 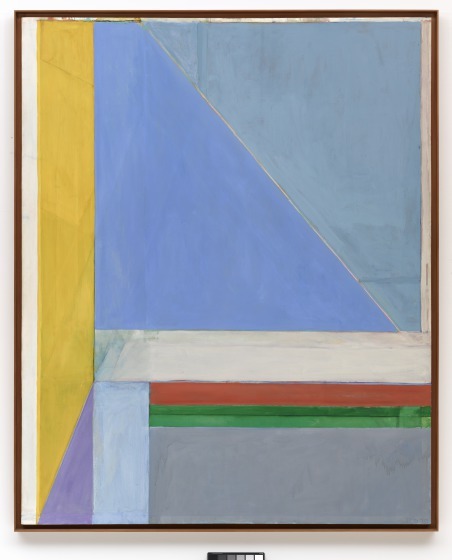 Named for the section of Santa Monica, California, in which he lived, these elegantly composed canvases are all distinguished by horizontal, diagonal, and vertical planes of luminous color and lines. 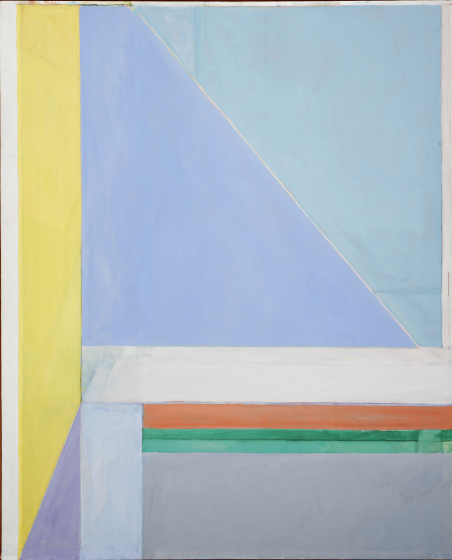 Diebenkorn’s fluid working process—erasures, corrections, and changes are left visible in the softly layered surface—was meant to create an illusion of varying depth, or, in his words, a “tension beneath calm.” Acknowledging his debt to Matisse, Diebenkorn created a subtle play of flatness and depth that, despite its geometric or architectonic structure, nonetheless evokes the sensuousness of a sun-filled interior space and the landscape of Southern California. 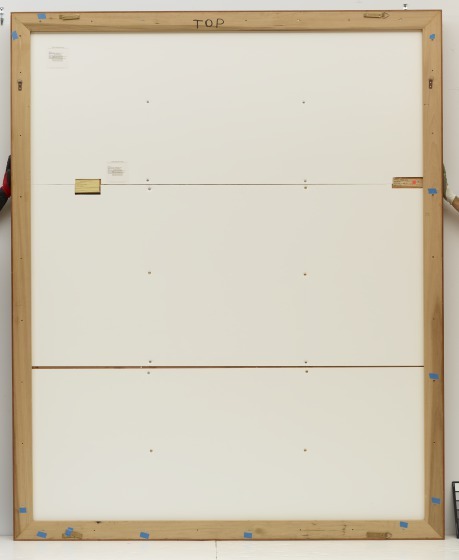 DMA unpublished material, Label text, 2011. 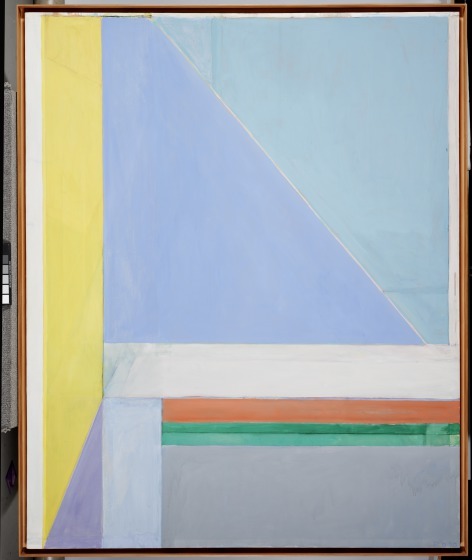 A Dallas Museum of Art poster of Richard Diebenkorn's Ocean Park #29 was used as part of the background set decoration in episodes of the television program "Melrose Place." Photographing Ocean Park No. 29. 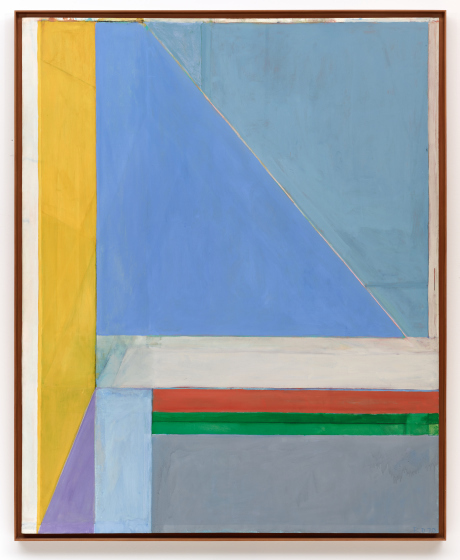 Watch a curator speak about Diebenkorn's Ocean Park Series. 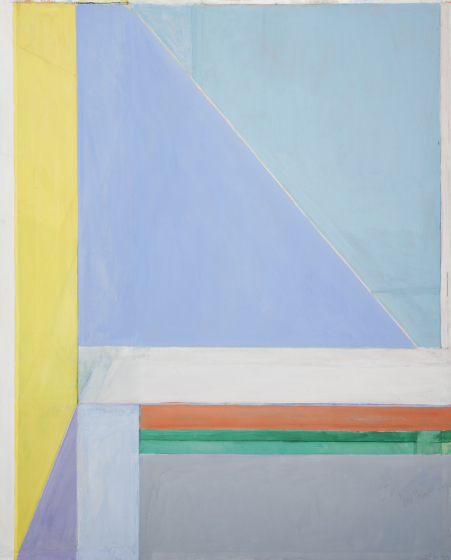 Listen to a conversation about Richard Diebenkorn's Ocean Park Series.